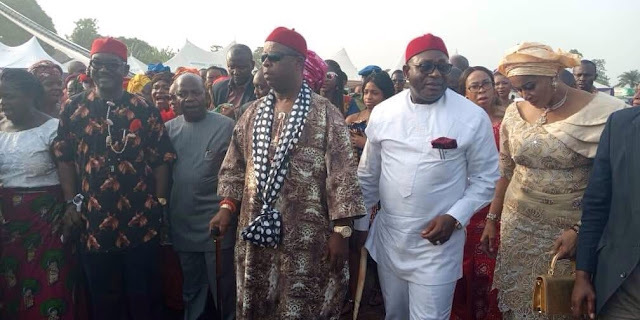 Home / Unlabelled / CHIEF JERRY CHUKWUEKE, ALEX OTTI STORMED BENDE AS APGA DEPUTY NATIONAL CHAIRMAN BAGS CHIEFTAINCY TITLE . 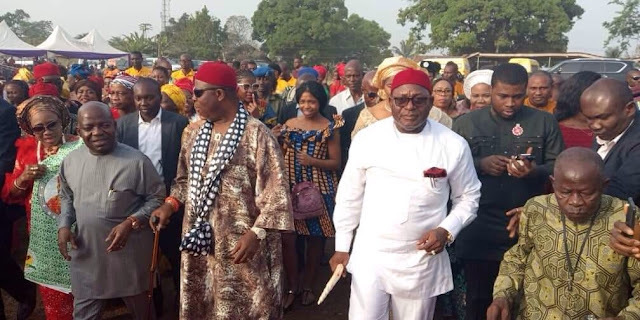 CHIEF JERRY CHUKWUEKE, ALEX OTTI STORMED BENDE AS APGA DEPUTY NATIONAL CHAIRMAN BAGS CHIEFTAINCY TITLE . 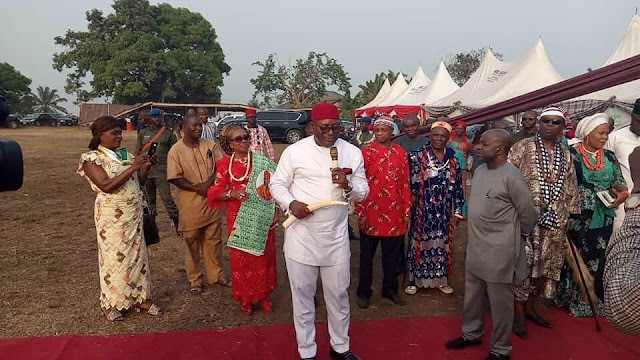 Prof. Uchenna Okogbuo, the All Progressives Grand Alliance, APGA, Deputy National Chairman, yesterday was honoured with a Chieftaincy title by his people of Akaekwo Autonomous Community, Uzuakoli, Bende LGA of Abia State. 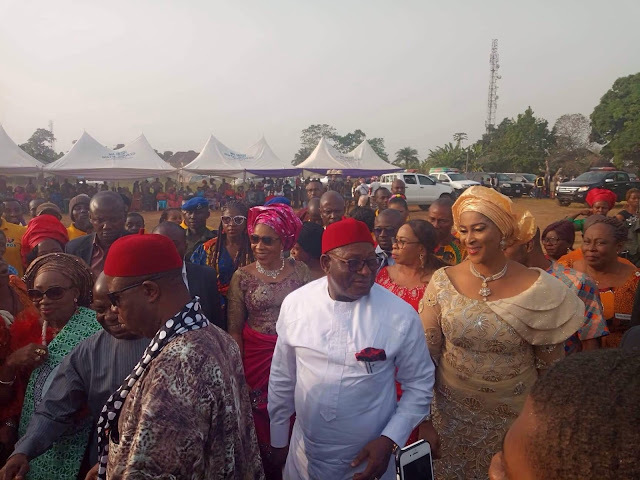 The arrival of Chief Jerry Chukwueke, the APGA Vice Presidential Candidate in the 2019 election at the venue ignited the whole arena and set the ball rolling for what eventually turned out a great outing for the Deputy National Chairman, Chief Uchenna Okogbuo. 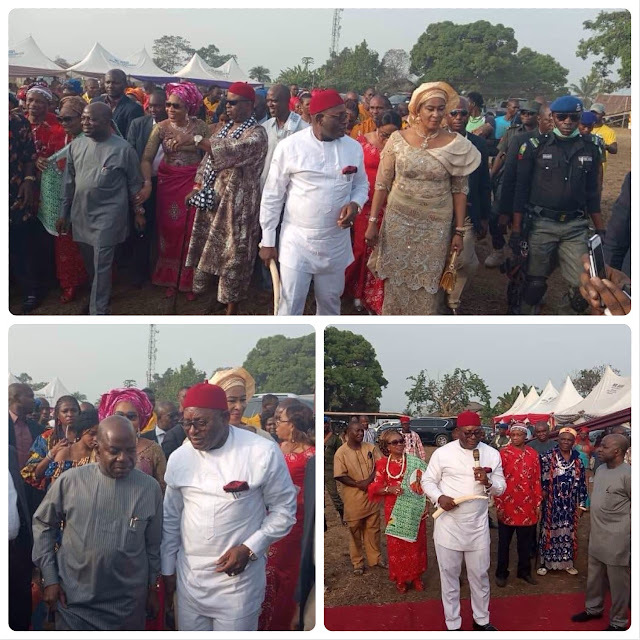 Ohamadike Jerry Chukwueke was accompanied by his gorgeous wife , Odiche , Chief Mrs Chinelo Chukwueke and Dr Alex Otti, the people's choice for Abia State Governorship race under APGA platform. 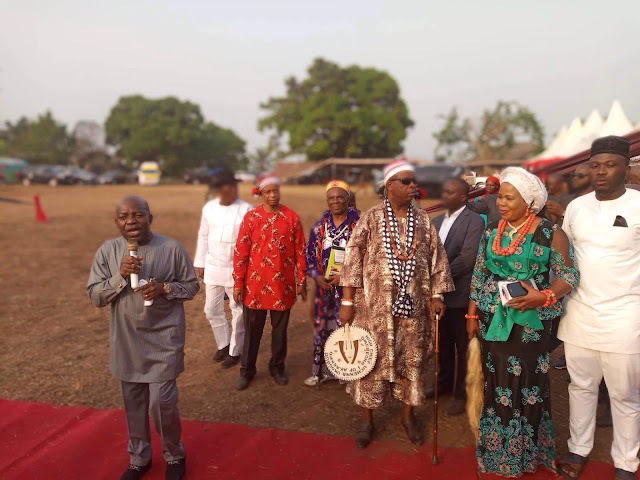 Chief Okogbuo who was bestowed with the Chieftaincy title of Omereoha 1 of Uzuakoli Ancient Kingdom by the paramount ruler, HRH Eze Uchendu Okorie, the Ekwo II of Uzuakoli thanked the Eze, his council of Chiefs , Ohamadike Jerry Chukwueke, Dr. Alex Otti and the people of Uzuakoli for the recognition. 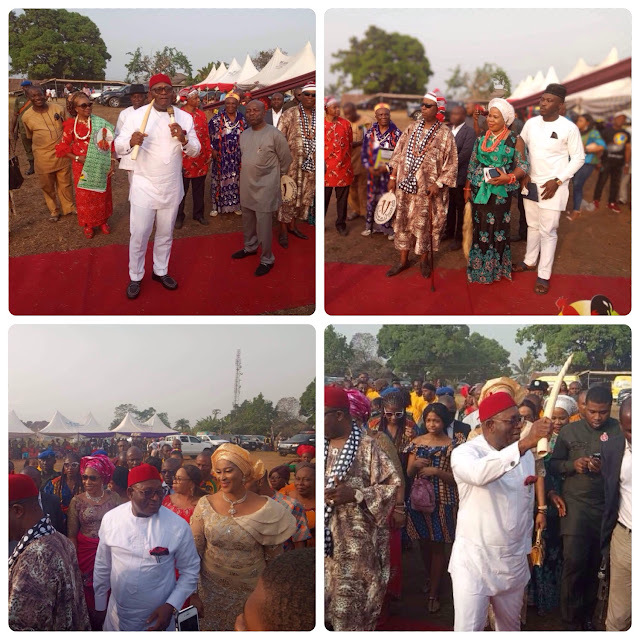 Eze Okorie who blessed both Chief Jerry Chukwueke and Dr Alex Otti said that their aspirations to serve their people will come to pass because they are leaders who have interest of the people at heart. 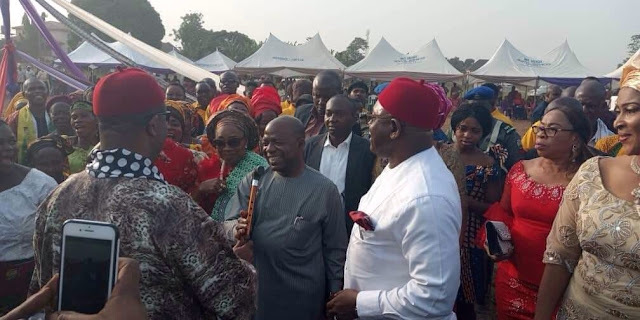 Speaking shortly after, Dr Alex Otti said he was glad to be in the midst of Ndi Uzuakoli, in his words , said he "We are glad to come here to support Prof. Okogbuo and we thank God that his community recognize him, that's the greatest honor." 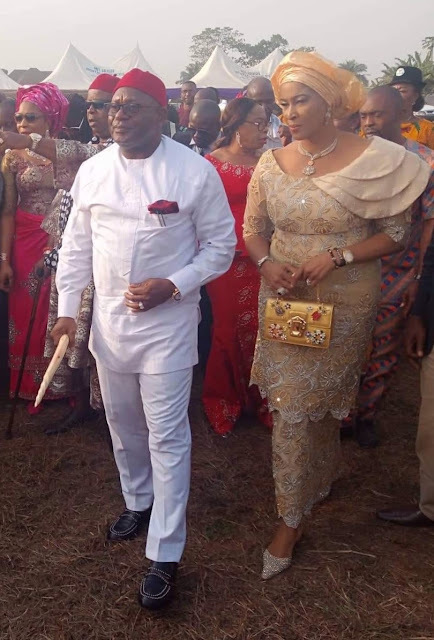 "Our date with history is on March 2nd 2019 when we reclaim our mandate that was stolen from us in 2015. 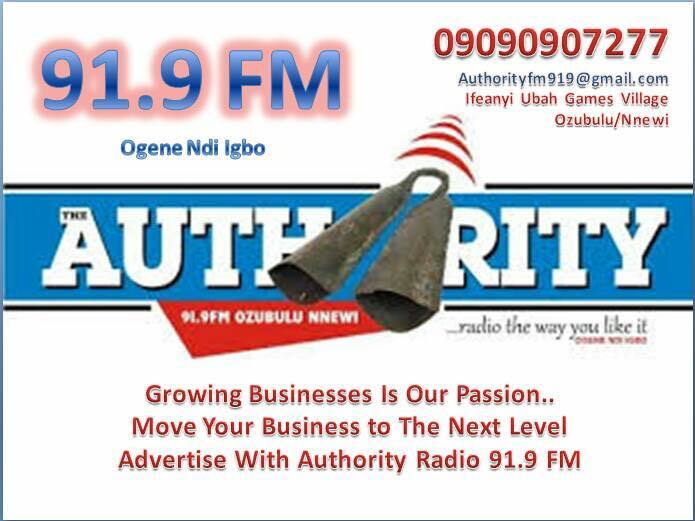 I thank you for listening to me and for being wonderful host. 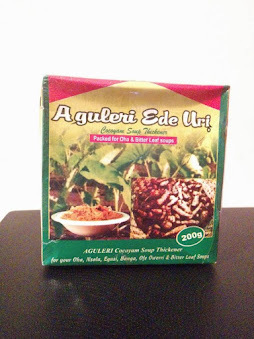 I am very much at home with Uzuakoli. 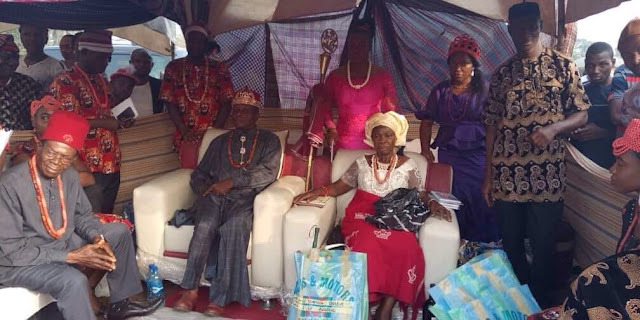 The blessing that HRH has given us today will be permanent." he concluded. 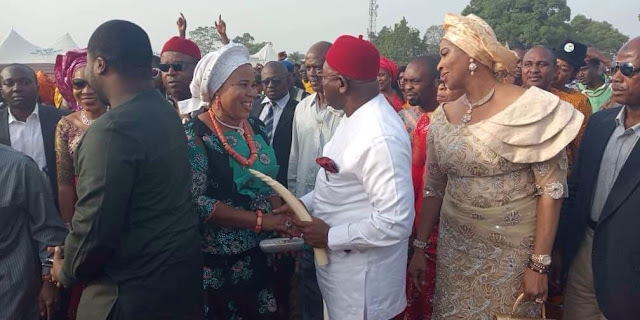 "Go to Anambra State and see what is happening there. 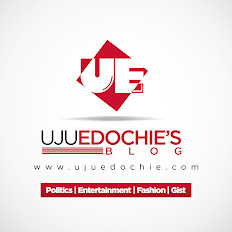 Anambra pays salary on the 24th of every month , the State don't receive bailout funds" yet they do very much , he stated. 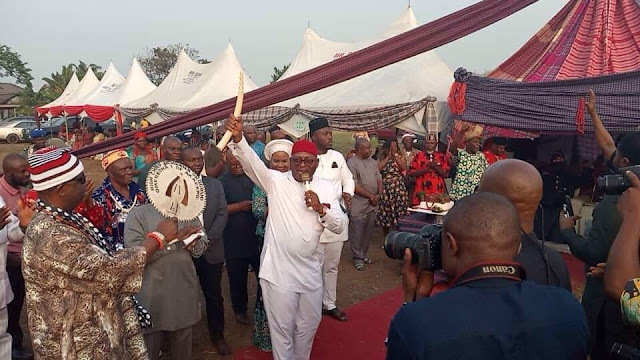 "This is what Alex is coming to do in Abia State if voted , he shall bring the Anambra model for the benefit of Abians" he concluded. Dignitaries were later led to the home of Prof. Uchenna Okogbuo for reception.